Building a local MLM Team is a smart move. 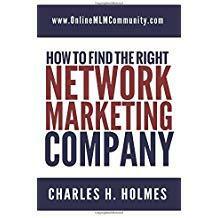 Many network marketers would rather build a long distance MLM Team than build a local MLM Team. It’s as if they think the people in their own town aren’t good enough to do network marketing. People from the big city drive into the countryside to sponsor people and people from the countryside drive into the big city to sponsor people. People from Maine would rather sponsor someone from California and people from California would rather sponsor someone from Maine. This is foolish as I see it. Regardless of where you live, there are more than enough good people in your local market to get your network marketing team started. Here are some quick reasons you should START locally. 1. Save money on gas – Let’s face it; gas is almost $4 a gallon. It costs a lot of money to drive all over the state or country to share the business with others. By working locally, you can save a lot of money on gas! Driving 200 miles one way to show the plan to a prospect and get stood up is a bad business move. Be smart about how you spend money in your business! 2. Save time driving around – Time is our most precious asset. Most networkers work a day job. When they get home from work the last they want to do is drive a few more hours to meet with prospects. By working locally, you don’t have to drive very far, which saves you a lot of time. 3. Easier to work with a local team – It is much easier to work with a local team. Because they are local you can meet with them in person and provide better support, motivation and training. Nothing beats face to face time. 4. Easier to do events and training with a local team – When you have a local team you can do weekly training events for your team at your home or a third party location. You don’t have to drive very far, so it is easy and convenient to do. Here’s the good thing. As you build a local MLM Team, your group will naturally expand nationally and internationally! For the rest of this article, I want to share a few simple tips on HOW to build a local MLM Team. The first thing you want to do is contact everyone you know locally. If you do that right, you should have at least five to ten people sponsored in your team and you should have 1-2 serious people who want to do something with the business. At this point, you can help them grow their team. The next thing you can do is attend some local events. You can join a networking group such as the Chamber of Commerce to meet other business minded people. You could set up at a flea market or fair to generate leads. You could do a home party with your team to meet new people. You could prospect people you meet in day to day life. You could advertise in the local newspaper to find more local leads. The options are pretty much endless. The real key to success to building a local MLM Team is to make friends and meet their friends. I learned that lesson from my mentor Don Failla. That really means that you don’t have to sponsor tons of people yourself. Your job is to sponsor people and then immediately shift your efforts and help THEM work THEIR warm market. Do that the right way and you will never run out of people to talk to. The bottom line is that building locally is just a smart business move, especially if you are a brand new network marketer. Remember, the grass is not greener on the other side. Prospects in other towns are NOT better than prospects in your own back yard. The sooner you can realize that the better off you will be. What are your thoughts about building a local MLM Team? Leave a comment below to let me know what you think. Great tips you have shared on how we can make a local MLM team. Having a local team is really fruitful not only in terms of cost-effectiveness but in terms of convenience too and that you explained really well by listing down some reasons to start locally. No doubt you can get more opportunities internationally but great options do exists locally too. All we need to do is explore our local markets for local leads. I tell everyone to start locally and then expand from there. Many communities state- Local Makes Sense. It does in this case too. It is much easier on everyone involved to be near each other so tips and tricks can be shared. It makes it much easier to have team meetings. With all that said, still promoting people far off is also great. We have to use all the possibilities at hand, but starting local does make good sense. Glad it helped you Wiley! Of course, I think that it is smart to recruit good people where-ever they are, even if they are a few states away. If they are willing to work to succeed and stay in touch, that is great. But if you have to choose between equally qualified recruits, then I would agree that it is smarter to take the one that is closer at hand. Nothing replaces a face-to-face meeting, or personal coaching.